Promotional products are the simplest and most effective way to improve brand performance. And the best products are those that customers will use often. 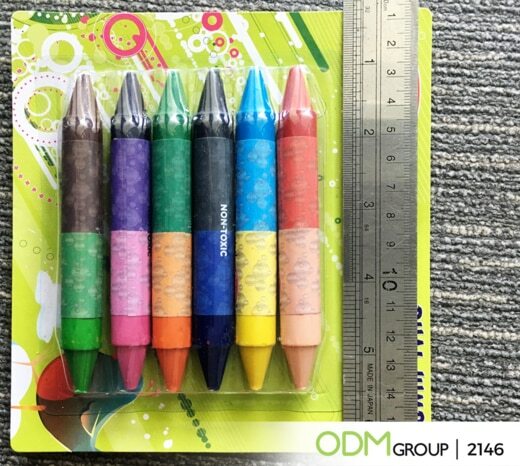 With that said, ODM offers fantastic double side custom crayons for your brand campaign. With years of experience in the field of promotional product manufacturing and marketing, our team will guide you from the planning process through the final stage. Manufacturing crayons is not as simple as we think. It follows an elaborate process of melting and molding wax to create the colorful pieces we use at school, work, and art projects. The Melting Process: The process starts with melting large quantities of uncolored paraffin wax. Then, the workers will add a pigment/mixture of pigments into the liquid paraffin to give it color. The ingredients are thoroughly mixed to ensure its consistency and to prevent bubbles and lumps. Quality Check: Quality control officers will check the crayons for chips, lumps, bubble holes, and other defects. The defective pieces will go through the same melting and moulding processes once again. Wrapping and Branding: After the quality inspection, wrapping and labeling follows suit. Machines will wrap and box each crayons up. 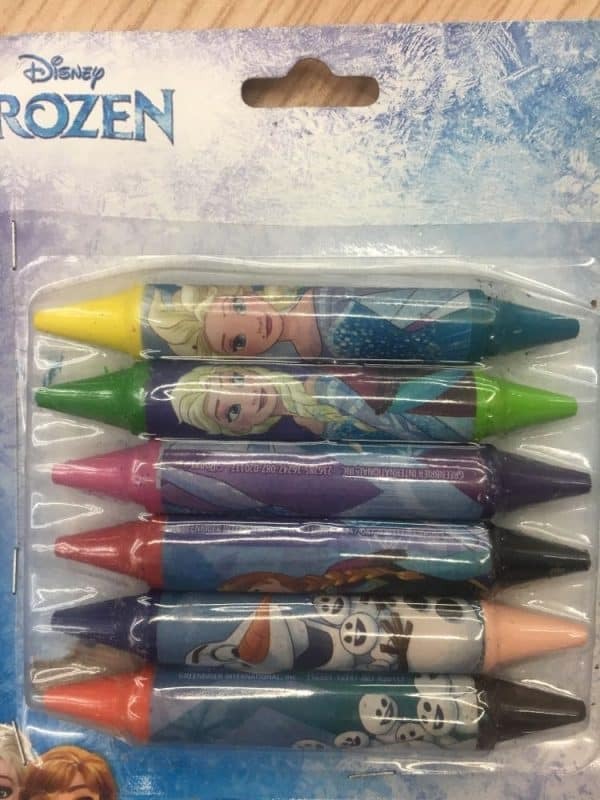 These crayons are now ready for shipment! Because they are flexible and fully-customizable, they work for various campaigns. They are a great addition to office and school supplies products. Business owners can also use them as on-pack gift for kiddie products or snacks. Another way to use this crayons with logo is to pair them up with coloring shopping bags. Check out this patented coloring shopping bag with reflective sides from SPAR Belgium. If you like this product send us an inquiry and reference product code 2146. Thinking of manufacturing custom crayons in China? Speak with us. ODM has the resources and people who can help you with your promotional project. Our Mindsparkz team has an in-depth knowledge in designing custom promotional merchandise as well as brand packaging. We also conduct factory visits to ensure that workers follow standard procedures and that products made according to your requirements. Work with us! Manufacturing in China? It pays to know what a 4-pillar factory audit is. This blog talks about the step-by-step procedure in manufacturing promotional pens. Check out our dedicated website for Non Woven Reflective Bags.